$39.00 In stock - low quantity. Order in the next 19 hours, 51 minutes and it will go out today! In stock - low quantity. Order in the next 19 hours, 51 minutes and it will go out today! 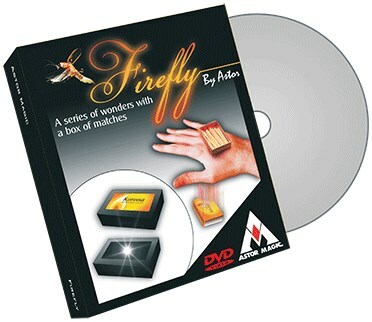 You show a series of wonders with a box of matches. The outer box disappears inexplicably and jumps into the magician's pocket. The outer box put back over the drawer goes through the magician's hand, than the complete matchbox disappears after been place into another case.